Phraseanet 4.0.8 is stable and available for download ! -Upload: Distant files can be added via their URL in GUI and by API. Phraseanet downloads the file before archiving it. -Search optimisation when searching in full text, there was a problem when the query mixed different types of fields. -Search optimisation, it’s now possible to search a partial date in full text. -Populate optimisation, now populating time: 3 times faster. -It is now possible to migrate from 3.1 3.0 version to 4.X, without an intermediate step in 3.8. -Search filter were not taken into account due to a bug in JS. -Overlay title: In this field, text was repeated twice if : one or several words were highlighted in the field, and if the title contained more than 102 characters. -List Manager: it was impossible to add users in the list manager after page 3. -List of fields was not refreshed in the exported fields section. -Push and Feedback fix error when adding a user when Geonames was not set (null value in Geonames). 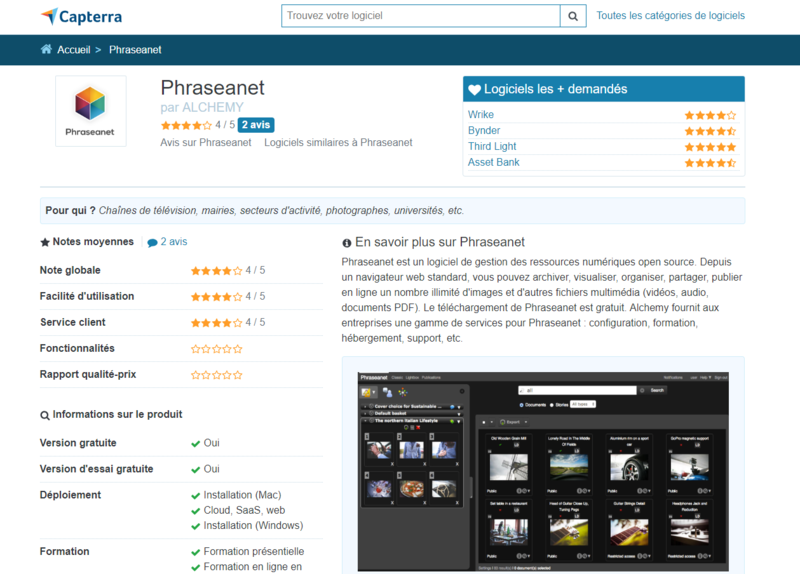 What do you think about Phraseanet as a Digital Asset Management solution? Tell us what you think and share your experience with other users ! The Phraseanet store is open! Find our plugins (you can buy some of them, others are free) for Phraseanet on our new store, and also some of our services. Others will arrive soon. Please feel free to get in touch for any information you may need. 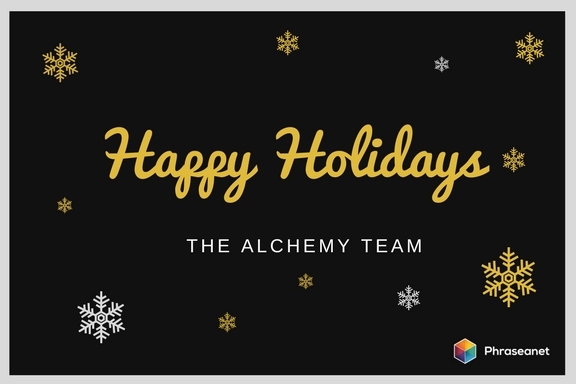 Happy holidays from our team to you! We’re available at the office, by email or by phone, for any questions you may have during the holidays. A new Phraseanet webinar, in French, will take place on Tuesday, December 12, 2017 from 3:00 to 4:00 PM (Paris time). For non-French speakers, if you wish to attend a webinar in English, please contact us and we’ll organize one session soon. – Faceted navigation enables to create a “mapping” of the response. Browse in a very intuitive way by creating several associations of filters. Facets can be used on the databases, collections, documentary fields and technical data. – New: the applicative trash: you can now define a collection named _TRASH_. Then, all deleted records from collections (except from Trash) go to the Trash collection. Permalinks on subdefs are deactivated. When you delete a record from the Trash collection, it is permanently deleted. When you move a record from the Trash collection to another, the permalinks are reactivated. Find out about Phraseanet’s newest release on Nov 14. A new webinar in French will take place. Need a webinar in English? Feel free to contact us! The next Phraseanet webinar will take place on TUESDAY OCT 17, 2017 from 3:00PM to 4:00PM (Paris time). Please note it will be in French only. Free webinar and open to all.